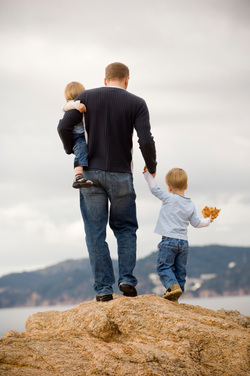 If there is one thing we would like to convey to all of the Fathers out there, it would be: Don't ever give up! Whether you are in the beginning, middle, or end of a break-up and children are involved, it is an emotional process unlike any other. All too often, we see Mothers who attempt to alienate the children from their Father. They use many justifications for why they would do this: new husband or boyfriend, claims they aren't getting enough child support; and they make false accusations of abuse. None of their reasons justify keeping a child from his Dad. They manipulate the legal process to delay court action. They push buttons to make you angry and frustrated, all with the goal of keeping the kids away from the man whom they believe wronged them somehow and broke their heart. If they could only see what devastation they bring to the spirit of a child when the child doesn't have his/her Father present in their life. It is easy to want to give up when it seems like the legal system is on the side of the Mother. Sometimes, even though it has been declared unconstitutional, there is still the notion that children, especially young ones, need their Mother more than their Father. Children can't be completely emotionally healthy without the presence of both parents in their lives. Mother and Father may have different roles, but both are essential to the life of a child. Children need role models- positive ones - so they can become who they are, be mentally healthy, and have healthy relationships in the future. This is not to say that there aren't exceptions if one parent is absent by their own choice from a child's life. In which case the other parent has to do the best they can under those circumstances. But that is the exception, for the absence of a Father from a child's life is often the result of intentional deprivation of visitation and contact, instigated by the Mother for her own selfish reasons. If you are in the position of not being able to see your child (or cannot find your child because Mom has moved and is hiding), or if you don't have the resources to pursue legal action, here are some suggestions for you: Keep a calendar to document every effort you make to contact your child. Keep phone logs and copies of phone bills to verify that you tried to call. Get cards and gifts for birthdays and holidays anyway, even if you are not able to give them to your child right away. Keep them for that day when you do get to see your child again. Even if you don't have all of the money to pay child support, pay something to the best of your ability. You want to show that you still want to be a parent and support your child, so your ex can't ask to have her new husband adopt the child without your consent. Don't ever give up hope that one day you can and will reconcile this. The court system can help you. But it, like everything else, is a flawed system. It is not the answer for every case. That being said, we still believe in the court system and that many people will find justice there. But, we also know that you can do everything right and still not win. 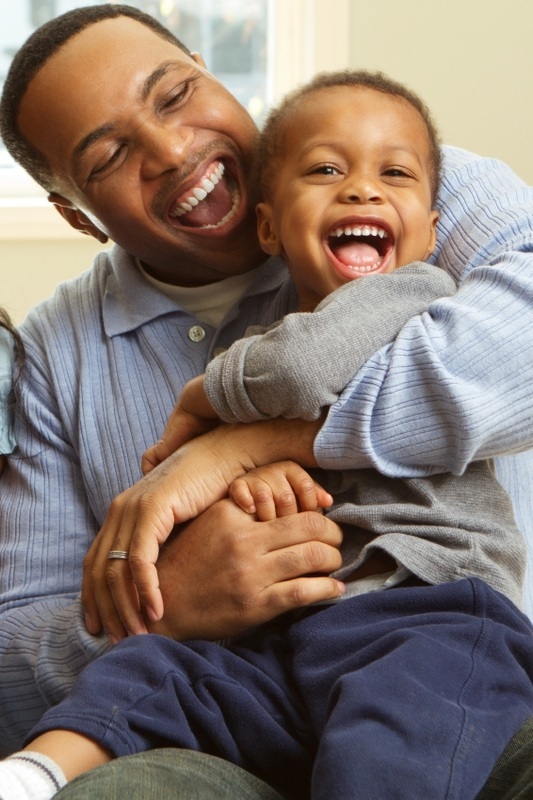 That doesn't mean you should not try to file a Motion to Enforce your visitation, file a Contempt Citation or Motion to Modify, because these are part of the process to establish and enforce your legal rights as a Dad. These are the only ways the legal system can help you. One day, you will have the opportunity to tell your child that you love him/her and did everything you possibly could do to be in their life. At the end of the day, you can take comfort in knowing that you truly have done all you can do to see your children, and know that you never just gave up.